A Winchester and Frederick County native, Delegate Chris Collins has always called the valley home. He was born in Lynchburg, VA on March 22, 1971 and raised in Winchester. 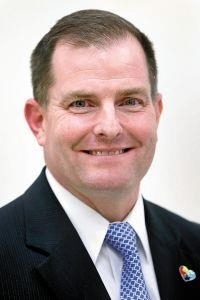 He graduated locally from James Wood High School in 1990 and later received an Associate of Science in Respiratory Therapy from Shenandoah University in 1992. In 1994 Chris graduated from James Madison University with a Bachelor’s of Science in Economics. He received his Juris Doctorate from the University of Baltimore School of Law in 2003 and is currently a defense attorney in Winchester, VA.
Chris has a longstanding history of service to his community, which began in his teen years thanks to his parents. Charlotte and Verne were Deans at the University of Shenandoah. Charlotte was Dean of the Conservatory and Verne was Dean of the University, and later Director of Development and a professor of business. His parents’ passion for serving their community got young Chris involved in volunteer work with the Apple Blossom Festival, various Shenandoah University events, the Child Advocacy Center, and the Lions Club. Chris’s commitment to his community continued as an adult. He was on the Frederick County Board of Supervisors for the Redbud District, a local governing body for Frederick County responsible for personal property tax rates and the annual budget for education, public safety and other necessary expenses. He was also Chairman of the Code and Ordinance Committee. This Committee reviewed all new ordinances or revisions to county code. During this time Chris was a member of the Human Resources Committee, which handled all personnel in the county. Additionally, he sat on the Public Safety Committee which oversees fire and rescue as well as the Sheriff’s office for the area. Chris is also the former 3rd Vice President of the Winchester 3rd Lions Club and a member from 1994-2000. Before becoming a delegate for the 29th District, Chris had several different careers. He served in the Army National Guard from 1989-2005, was a respiratory therapist at the UVA Medical Center Critical Care Unit, a trust officer with F&M Bank in Winchester, a Deputy of Frederick County Sheriff’s Office, and an attorney at Inger and Collins. Currently he is a defense attorney with Buchbauer and McGuire in Winchester. In the House of Delegates, Chris serves on several committees including Courts of Justice, Education, and Transportation. Delegate Collins continues his service to Frederick County and currently serves as a member of the Frederick County Service Authority Committee, where he deals with local water and sewer priorities for the area. Notable legislation the Delegate was a part of ranged from “Go Virginia”, a program to create economic growth in the Commonwealth’s Districts through grants, to the formation of Drug Courts in the region. Chris also worked on legislation that provided reciprocity with other states for concealed hand gun permits. 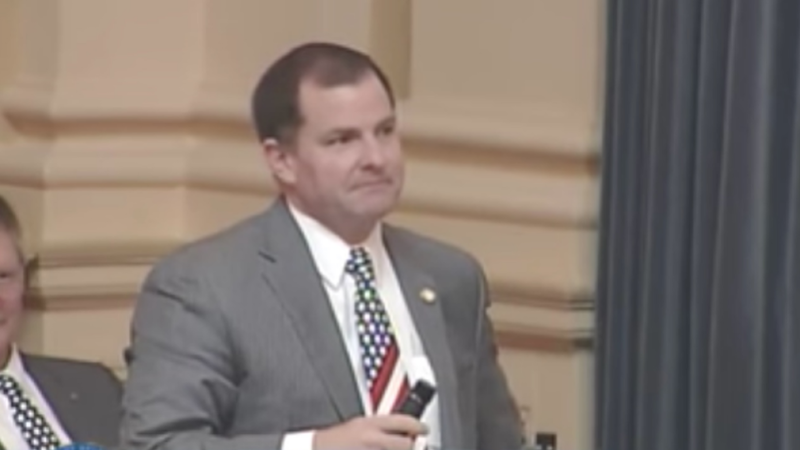 His work to support local businesses and the “Go Virginia” grant program earned him recognition as Freshman Legislator of the Year from the Virginia Chamber of Commerce. Chris lives in Winchester with his wife, Therese, their son Noah, and two rescue labs, Ranger and Lola. In his free time the Delegate referees for local high school varsity football games, enjoys playing golf, and model railroading with his son. If you have any questions for Chris Collins, send them to Virginia onAir at virginia@onair.cc. Virginia will first see if Chris Collins has answered your question somewhere else. If they haven't, Virginia will pass on your question to Chris Collins and post their answer, if they have one. If you have any suggestions for Chris Collins, especially if you are a current or former constituent, send them to Virginia onAir at virginia@onair.cc. Virginia will record your suggestions here. If you have something positive to say about Chris Collins and you are a Virginia onAir Hub member, send your recommendations to Virginia onAir at virginia@onair.cc. My name is Virginia onAir. I am the lead curator for this Chris Collins post.